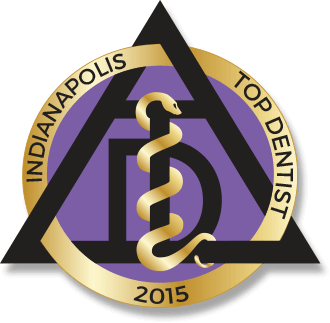 Indianapolis Family Dentistry is committed to providing high-quality care with compassion. We understand that each patient has unique levels for comfort, which is why we cater to your needs to ensure the most enjoyable visit possible. We offer advanced technologies and sedation dentistry in Indianapolis IN to provide comfortable, high-quality results. With your comfort and satisfaction the center of our focus, you’ll experience expert dentistry from our caring and qualified team. Intraoral Cameras—We use Intraoral Cameras to gain a deeper insight to oral health during dental checkups and new patient exams. The small, handheld devices deliver high-quality images of the teeth and soft tissues using a camera the size of a pen. The images are then sent to a computing unit to allow for the images to be enlarged and viewed on a TV screen and our chairside monitors. In addition to Intraoral Cameras, we also use digital cameras to help us document the health of your smile. Electrosurgery—Electrosurgery provides an alternative to scalpels for a number of dental procedures. Using a high-frequency electrical current, soft tissues are easily removed for a more comfortable, safer, and efficient treatment. In addition, you’ll benefit from a quicker recovery time with less discomfort as bleeding in minimal and there is less trauma to surrounding tissues due to the precision of the electrical current. Panorex—Panorex provides us with two-dimensional images of the entire oral cavity. The digitalized images offer us enhanced clarity to provide fast and accurate diagnosis and treatment. We also use digital x-rays instead of traditional radiography for faster access to images and easier documentation. Plus, there’s as much as 80 percent less radiation used with digital images for a safer alternative. With Panorex and digital x-rays, you’ll no longer undergo the discomfort of biting onto film trays to have images taken during your appointments. We also offer sedation dentistry to enhance patient comfort while allowing those with dental fears and phobias to feel more relaxed. We offer nitrous oxide, better known as laughing gas, to relieve anxiety while making you feel more comfortable. The sedation medication is inhaled through a mask that’s placed over the mouth and nose. We control the amount of sedation used to ensure your safety and individual comfort level. You’ll instantly be completely relaxed to allow us to quickly perform the necessary tasks while promoting your satisfaction. We work with each and every one of our patients to ensure they are comfortable and relaxed during appointments. With the use of sedation and dental advancements, you’ll benefit from exceptional dental care while remaining comfortable. If you’re ready to benefit from the best dental advancements and sedation dentistry in Indianapolis IN, call (317) 898-3384.